Six years in the making. Countless hours of research at the National Library of Medicine. Three years of writing, editing and rewriting. The finished product is finally here. THE LYONS LIFESTYLE. This book is the culmination of a project that began in 1993. I was trying to figure out why flax seed oil helped one of my patients get better from her gallbladder disease and improve her esophageal reflux problems. That led to my first book, 42 DAYS TO A NEW LIFE, which was published in 2007. The book helped my patients understand how we got into the mess with the fats in our diet. It explored trans fats, omega-3 and omega-6 fats and the devastating effects on our health that occurred when our fat balance went awry. No sooner had I completed that project when I was prompted by one of my daughters to find out “why high fructose corn syrup was killing us?” Three years of homework led to amazing discoveries about carbohydrate metabolism that led to my second book, FRUCTOSE EXPOSED. I thought that I was finished with writing books so I initiated this website so that I could update patients about pertinent nutrition information as it came along. Much to my surprise, I found that the new found knowledge being published exceeded just a few posts on the web. I began serious review of numerous topics that my patients were constantly querying me about at the office. Hence, this new book was born. I had completed the first version in January of 2015 but added five more chapters during the editing process because of more and more patient questions. This new book evolved from an update to solid advise concerning the corrective action needed to produce sound nutritional advice that will help to correct numerous medical conditions that now plague millions of Americans. If you suffer from metabolic syndrome, abnormal serum cholesterol problems, high blood pressure, borderline or type 2 diabetes, obesity, chronic fatigue, fatty liver, acid reflux, inflammatory or autoimmune disorders, or you are high risk for cancer then this book is a must read for you. I also cover other pertinent topics such as vitamin D deficiency, the science behind saturated fats, probiotics, safely navigating many of the popular diet options and more. I would strongly encourage all of us to learn the truth about the deeply flawed nutritional guidelines so that we can restore our nutritional health. 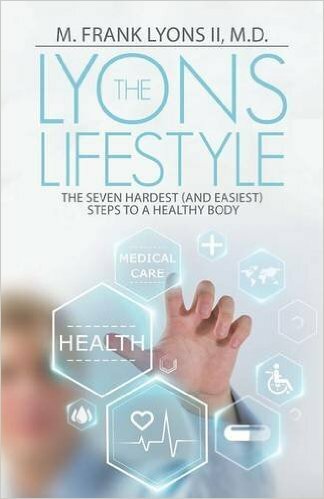 THE LYONS LIFESTYLE provides a seven step guideline to accomplish that end. 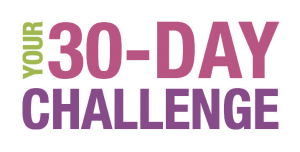 It is not a fad diet or a quick fix; rather it is a change in lifestyle. I would encourage everyone looking for scientifically based nutritional advice to read this book. Several people have already posted reviews on Amazon.com and Barnes and Noble. Take a look at the reviews. I have seen numerous patients lives transformed as well when they apply these guidelines. Maybe it is your turn.